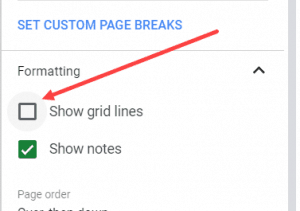 While there is a simple click option available to insert a bullet in Google Docs, there is no easy way to insert bullets in Google Sheets. Now the reason could be that the need for bullet points is less in Google Sheets. 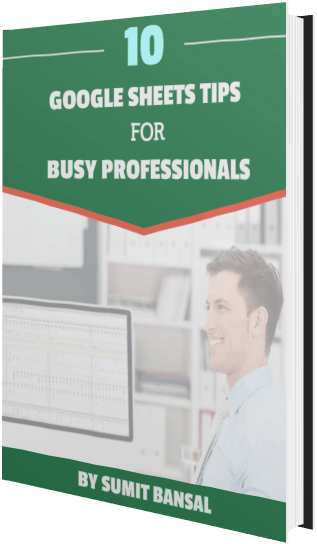 But if you are one of those who wants a bulleted list, there are some ways you can achieve that. Select a cell in which you want to insert the bullet point. Get into the edit mode (by pressing the F2 key, or by double-clicking on the cell). Hold the ALT key and press the number 7 on the numeric keypad. This would instantly insert a bullet in the cell in Google Sheets. If you want to insert multiple bullets in different lines in the same cell, press Alt + Enter to go to a new line in the same cell. Now again hold the ALT key and press the number 7 on the number keypad. 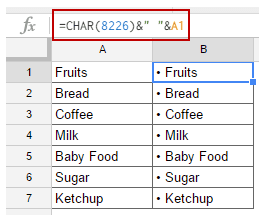 Another neat way to insert bullets into Google Sheets is to use the CHAR function. Bullets have the specific Unicode number that can be used within the CHAR function to get a bullet. Enter the following function in the cell in which you want to insert the bullet. This would instantly insert a bullet in the cell. Copy paste for all the cells. The CHAR part of the formula returns the bullet and then adds the item name in front of it. Another way to use these bullets is to simply copy and paste the cell as values (and get rid of the CHAR function while retaining the bullet in the cell). Now you can copy paste and use it wherever you want. 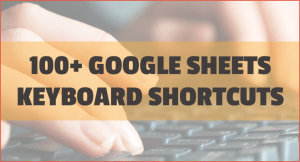 One of the easiest and straightforward ways to insert bullets in Google Sheets is to copy and paste it from a website or other applications (such as Google Doc, MS Word, PowerPoint, etc.). 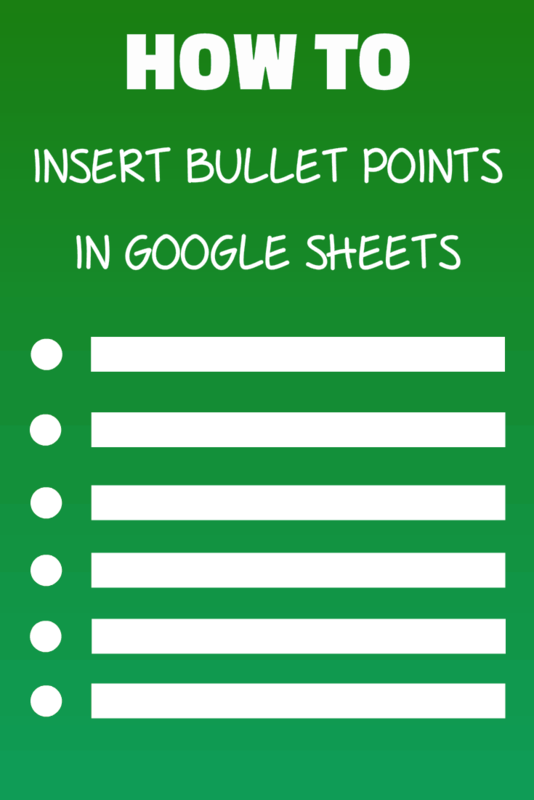 For example, below are a variety of bullets that you can simply copy and paste in cells in Google Sheets. 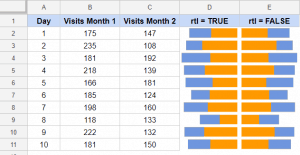 How to Insert Multiple Rows in Google Sheets. 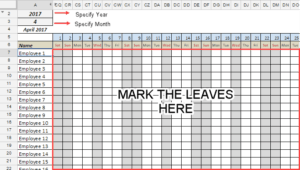 How to Color Alternate Rows in Google Sheets. 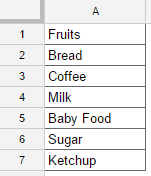 Related: How to Add Bullet Points in Excel. Did not work; ALT 7 does nothing. #CHAR gives a bullet, but doesn’t let you write anything after that…. It’s because you’re probably using the number 7 key at the top of your keyboard. Alt 7 ONLY works if you use the number 7 key on the numberpad on the right side of the keyboard.